Formerly Kasaragod district was part of South Kanara district of Madras state. After the States reorganisation on 1st November 1956, Kasaragod taluk was made part of the re-organised Malabar district of Kerala state. Two months later, on 1st January 1957, the present region covered by Kasaragod district became a part of the newly formed Cannanore (later renamed as Kanoor) district. Along with it the erstwhile Kasaragod taluk was bifurcated into Kasaragod and Hosdurg taluks. 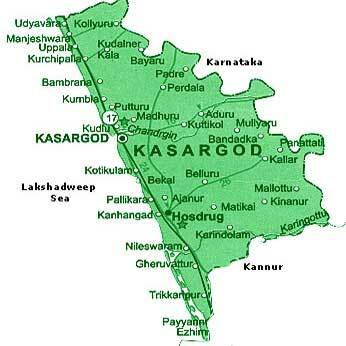 In 1984 Kasaragod became a new district with Kasaragod town as its headquarters. The formation of Kasargod District was a long felt ambition of the people. With the intention of bestowing maximum attention on the development of backward area, Kasaragod district was formed on 24th May, 1984. With the formation of the district, comprising the erstwhile Kasargod and Hosdurg Taluks. It has become possible to develop this area fruitfully. Kasargod consists of the hill tracts villages in the eastern side and costal villages in the western side and it is the 14th district in the State. The Collectorate functions at Vidyanagar in Chengala Panchayath, which is 5 Kms. from Kasargod town. For revenue administration, Kasargod district is divided into two taluks, five firkas, and 75 villages. 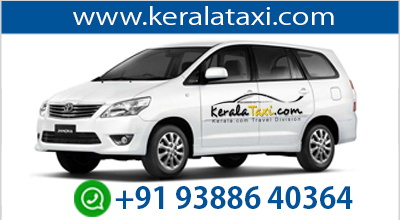 The only Revenue Division in the district is Kasargod and the office is at Kanhangad.